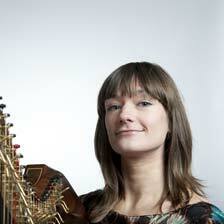 Inverness-shire based Composer Fraya Thomsen represented ScreenHI, XpoNorth Screen and Broadcast, and XpoNorth Music at 2016's Wildscreen Film Festival in Bristol this October. 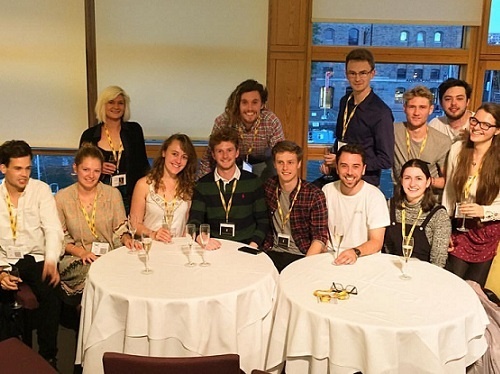 It is with great thanks to XpoNorth that I was able to attend the Wildscreen Film Festival in Bristol this October. As a film composer at the start of my career it can be pricy to attend film festivals, and one of the questions in my head as this fantastic opportunity comes to a close, is how will I fund my attendance to the next festival, as I definitely want to come back to this wonderful bi-annual event. My ambition is to have composed music for one of the films chosen for screening in 2018. So I am going to have to start with the obvious: being in the presence of the great and mighty David Attenborough is a wonderful experience. 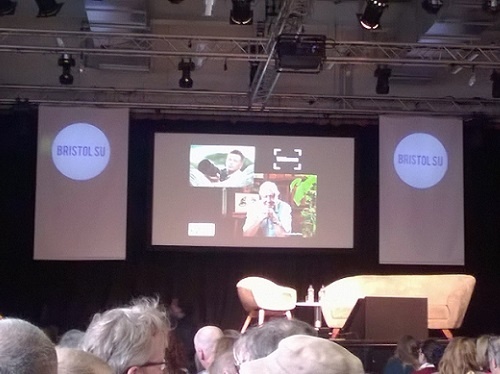 On this, his 90th year, Wildscreen had chosen to ask him and Chris Peckham to talk on the issue of conservation, a most fitting and urgent conversation to be having. Once I got the tear in my eye under control, and filtered out the three audience members in front of me who insisted on waving their phones above their heads, I found myself taking notes such as: public consciousness – WWF bigger picture, the conscience of humanity, pro eco tourism, energy production – generation – transmission - storage, co-operation. Being at the festival reminded me of all the reasons that I always dreamed of scoring these types of documentaries and confirmed to me how important it is that they are made. It has also inspired a number of ideas for my live music commission which will be performed at the start of 2017. The human population of the world has trebled in the time that David Attenborough has been working in natural history. Attenborough recognises this as being the biggest threat to the health of planet earth. It is inspiring to me that instead of becoming defeatist about these issues, people like Attenborough and Peckham continue to raise awareness and spread optimism for our future. I learned many things during my attendance including the fact that the EU are presently reviewing their policies on zoos. Here is a link to where you can share your views. A lady called Kaitlin M. Yarnall from National Geographic did a talk about the funding programme of their centre of excellence in journalism, mapping and photography. They are going to launch a series of new funding strands in January and her particular passion is to encourage young female wildlife photographers/videographers. The fund will also focus on human migration. The festival offered a great range of film screenings followed by Q&As, talks and networking opportunities. I was lucky to have been recommended to attend the festival by a talented producer who has been working in the industry for over 20 years. He was able to introduce me to a number of industry professionals. There was a friendly atmosphere and I was happy to see and meet filmmakers and scientists of all ages, both male and female. Both David Attenborough and the BBC put a high value, both in educational and financial terms, on light hearted, accessible entertainment in the field of natural history. It is true to say that the producer of the Hunt, Huw Cordey deliberately omitted a lot of blood and gore from the series, in order that more people enjoy it and do not think of the animals featured as brutal creatures. He also chose to employ a 'Hollywood composer to make the music for the series based on the music he had composed for Gravity – a fictional film'. At first I find this frustrating, wishing to be shown a more full and honest picture of whatever is being delivered to me on the screen. I soon discover that there are numerous people in the industry who come from a scientific background, and who feel similar to me, though their frustration is worsened by many years of trying to find funding to make factual films, which they then have to dumb down in order to find finance. By the end of the festival I realised that there is a very important place for both easy access lighthearted factual entertainment, and also for more detailed films. As a huge majority of the worlds human population live in urban areas, how can we encourage people to take personal responsibility to take care of their environment if they are unaware of the beauty and diversity of species of animals and plant which are becoming endangered and extinct at an alarming rate? Personally it is very useful for me to have been offered such an open and balanced opportunity to discover my own stance amongst these issues, as music is key in communicating tone in filmmaking and music is my specialism. Now I am truly able to be sympathetic to both styles of filmmakers. 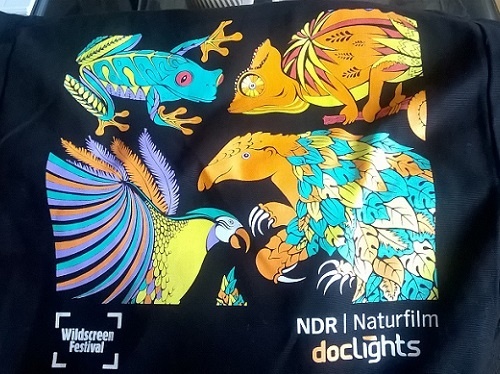 Wildscreen Film Festival is an international event and speakers have traveled from across the globe to share their enthusiasm for, and concerns about the natural world. I had never imagined that I would be able to sit around a coffee table with some of the biggest and most influential producers in the genre, but I did! I will continue to pursue work in the Natural History field with renewed vigour. Watch out Hans Zimmer!